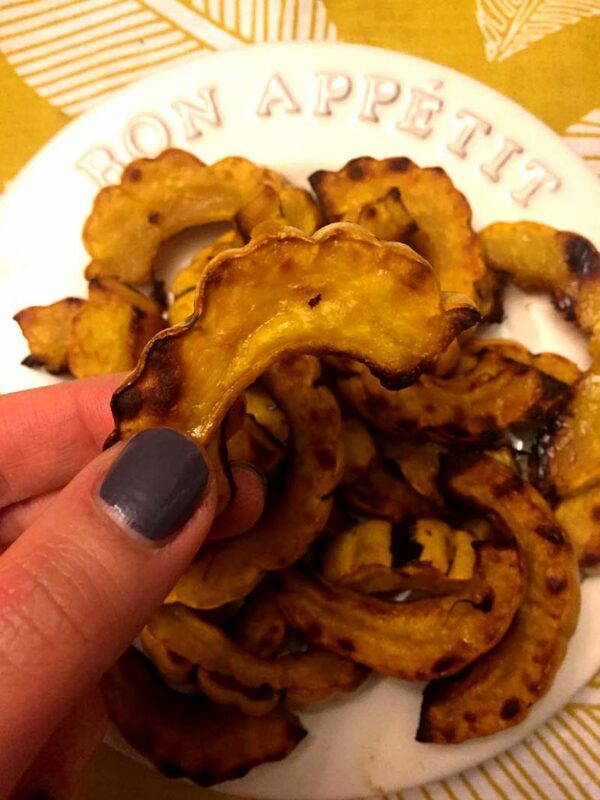 These baked delicata squash fries are amazing! Who knew that healthy fries can taste so good! Look at these bright-orange delicata squash oven fries! Look at their unique shape – naturally shaped like a curly half-moons! So beautiful, these baked delicata squash fries are a feast for your eyes and stomach! And best of all, they are so good for you! Bite into each delicata squash piece and taste the sweetness. 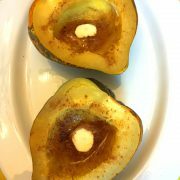 This stuff is naturally sweet – nature made delicata squash this way! 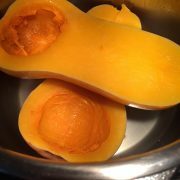 This squash is one of the sweetest squashes out there and is my favorite squash! 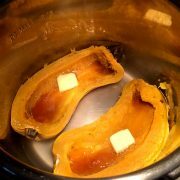 Since I enjoy eating delicata squash so much, I make it several different ways 🙂 If you own an Instant Pot, check out my Instant Pot delicata squash recipe, you’ll love it! 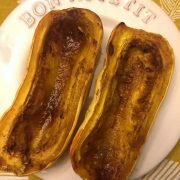 You can also roast it in the oven without cutting into fries – take a look at my roasted delicata squash halves recipe. 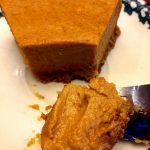 You can also make delicata squash puree same way as pumpkin puree, and then use it in any of the recipes that call for pumpkin puree. 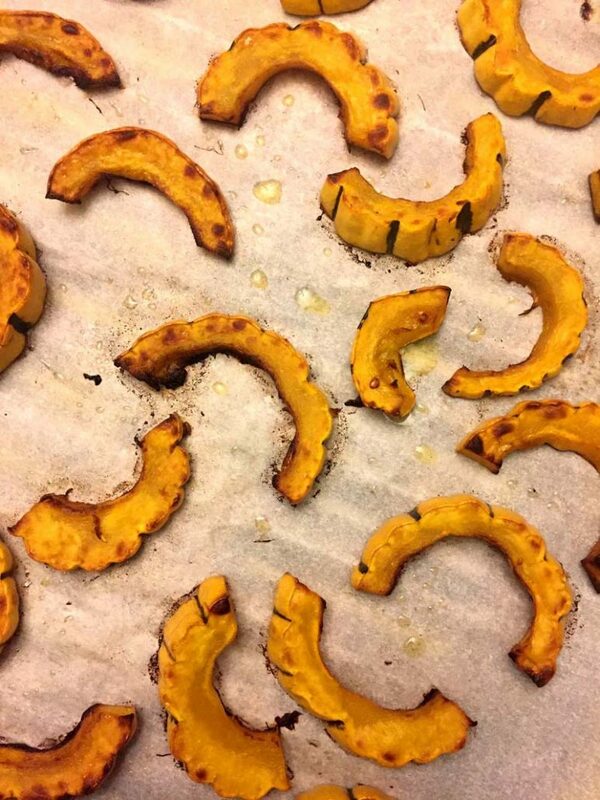 Making baked delicata squash fries is really easy. To cut delicata squash into the half-moon shape, you need to first cut delicata squash in half lengthwise, scoop out and discard the seeds, then slice the squash halves into 1/4-inch-thick slices. They’ll naturally be shaped like a half moon! 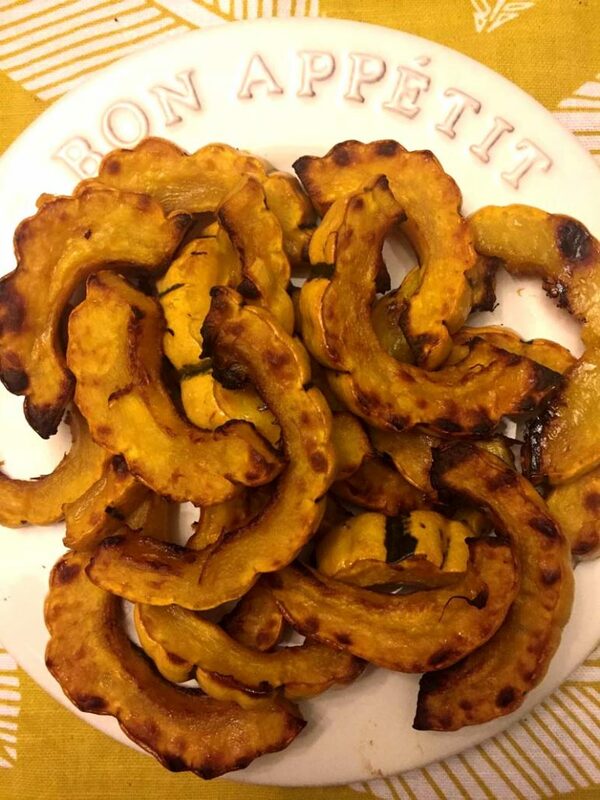 Once you slice delicata squash into fries, toss them with olive oil and bake in pre-heated 400F oven for 30 minutes. When they are ready, sprinkle with salt, pepper and any of your favorite seasonings! They are great with cinnamon too! Enjoy! Love squash? 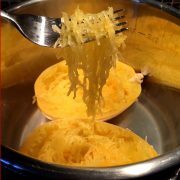 Check out my squash recipes collection, including acorn squash, butternut squash and spaghetti squash! 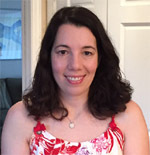 Love the idea of healthy vegetable oven fries? Check out my super-popular zucchini oven fries recipe – it’s been pinned on Pinterest over 645,000 times! 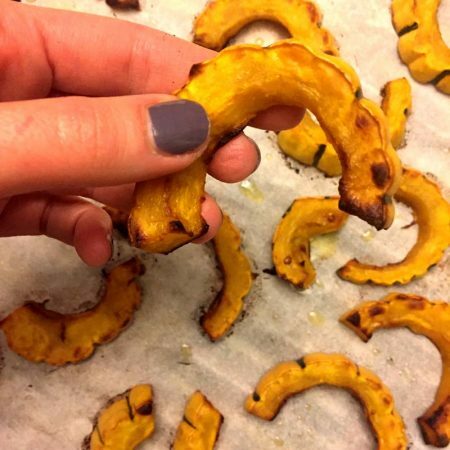 These baked delicata squash fries are amazing! 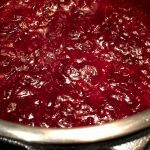 So easy to make, healthy and delicious! You don't even need to peel the squash! 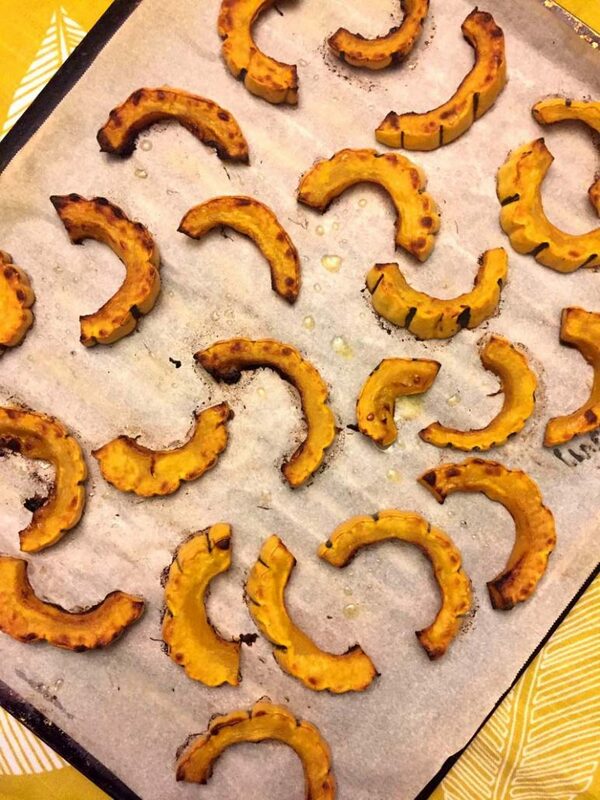 Cut a delicata squash in half lengthwise. Scoop out the seeds with a spoon and discard the seeds. Place delicata squash halves on a cutting board cut side down, and slice into ¼-inch half-moon shaped slices. Put delicata squash fries in a bowl and add olive oil. Toss with your hands so delicata squash is coated with oil. 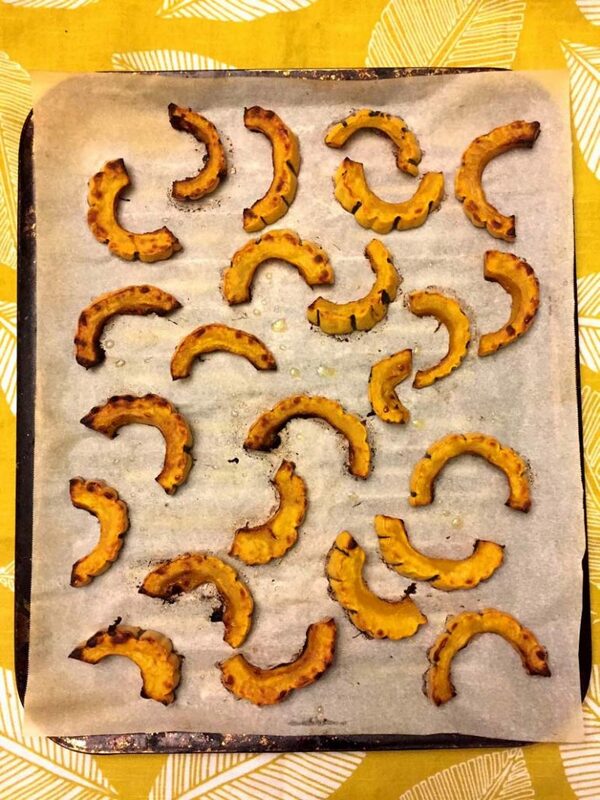 Put delicata squash fries on a baking sheet in a single layer, so they are not touching. Put the baking sheet in the oven and bake for 30 minutes. 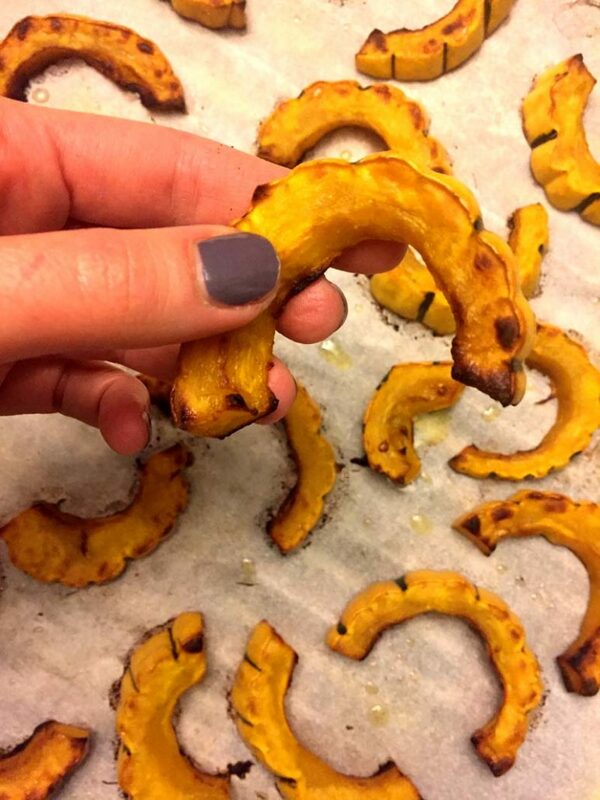 Remove delicata squash fries from the oven and sprinkle with salt and pepper to taste.